Last week, Activision and Torn Banner Studios announced that Chivalry: Medieval Warfare would be released for PlayStation 4 and Xbox One on December 2 and December 1, respectively. The price will be $/€ 19.99. The first person melee focused action multiplayer title already released for PlayStation 3 and Xbox 360 last year (after launching on PC in late 2012), so we reached out to Torn Banner Studios’ President Steve Piggott in order to learn more about this edition for current gen consoles. You’ve developed and released Chivalry: Medieval Warfare for PlayStation 3 and Xbox 360. What kind of improvements can players expect to find on PlayStation 4 and Xbox One, other than the obvious ones related to graphics? The primary difference users can experience between the PS3 and X360 versions and the new PS4 and Xbox One versions are a doubling of the max player count (from 12 to 24), as well as dedicated servers. This means that the game will run substantially better, battles will be more intense with more warriors involved and host-migration and poor connection quality no longer stand in your way of glory in the battle. Which frame rate and resolution have you been able to achieve while developing Chivalty: Medieval Warfare on PlayStation 4 and Xbox One? PS4 = 1080 60 FPS Cap, Xbox One = 1080 30 FPS Cap. The development of the console version is handled by Hardsuit Labs, a great company we have enjoyed working with and who has brought the quality of this version of the game to a much higher level. Are you going to use some of the peculiar features of each platform, such as Kinect and/or the DualShock 4 touchpad/Sixaxis features? The game does not make use of platform specific features such as the Kinect or touchpad features. The press release mentioned dedicated server support. Does that include matchmaking only or custom matches too? Both matchmaking online and custom/private invite only matches are possible. Some developers, such as Bethesda with Fallout 4, are finding ways to get mods on PlayStation 4 and Xbox One. Is this something you’re considering for your game as well, since Steam Workshop is a big part of the PC version? Unfortunately, due to legal reasons we were unable to include custom maps or mods in the PS4 and Xbox One versions of Chivalry. With the advent of VR devices such as the Oculus Rift, the HTC Vive and PlayStation VR, many first person games are pledging their support to this technology. 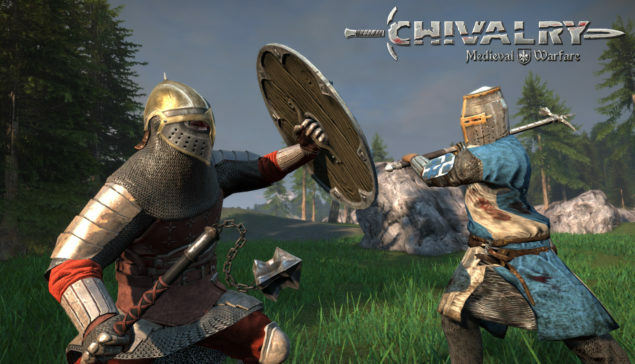 Have you thought about making Chivalry: Medieval Warfare VR enabled and if so, which platforms would you target? VR is a very interesting technology and next year will be its commercial debut, so its something we are paying attention to and excited about both as developers and as gamers. We’d be interested to see how demand for VR goes and if there is fan interest in seeing our titles in VR we will be excited to do so.